Take the chopped onion,peeled garlic cloves,pinched tamarind,pinched red chillies and salt. Grind it to a coarse paste without adding water.Then add little water and grind it to make a smooth paste. Heat oil in a kadai and temper mustard seeds,urad dal and curry leaves.Now add the ground chutney and boil for sometime till it becomes thick.Remove and serve hot with idli & dosa drizzling few tsp of gingely oil. 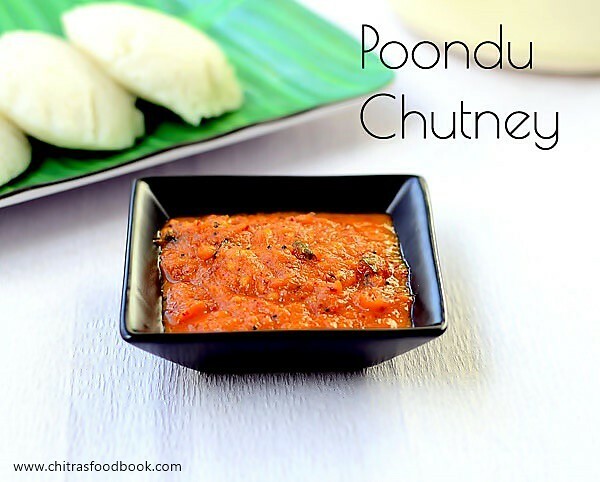 This chutney stays good for a day or two without refrigeration if you make the chutney really thick without any moisture.So you can pack this for travel and njoy !I hope it tastes good with roti too ! You can saute the ingredients in oil before grinding and temper at the end. 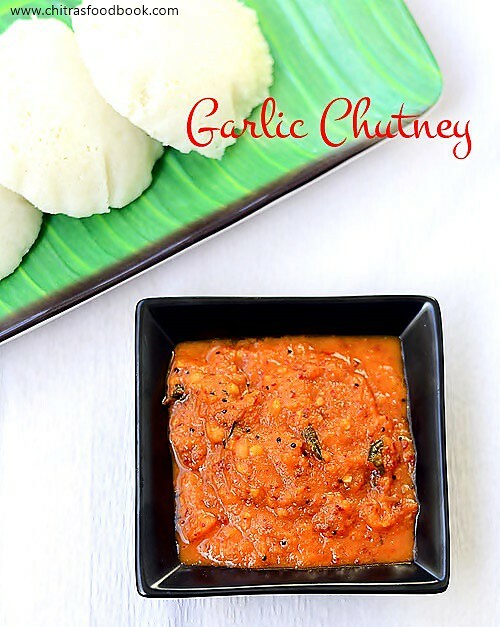 You can make the same chutney without using onions.In that case,u must add more garlic cloves & tamarind to get more quantity. Instead of tamarind u can use one ripe tomato while grinding. 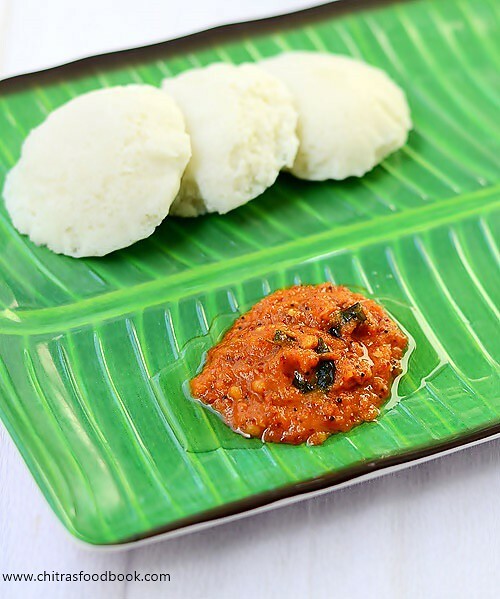 Enjoy this hot n spicy onion garlic chutney with idli & dosa drizzled with few tsp of gingely oil.Tastes GR8!! 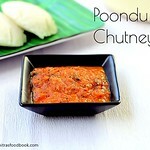 Your garlic chutney looking yummy. I will try in on week end.Keep it up! Thanks for sharing this wonderful image with us.